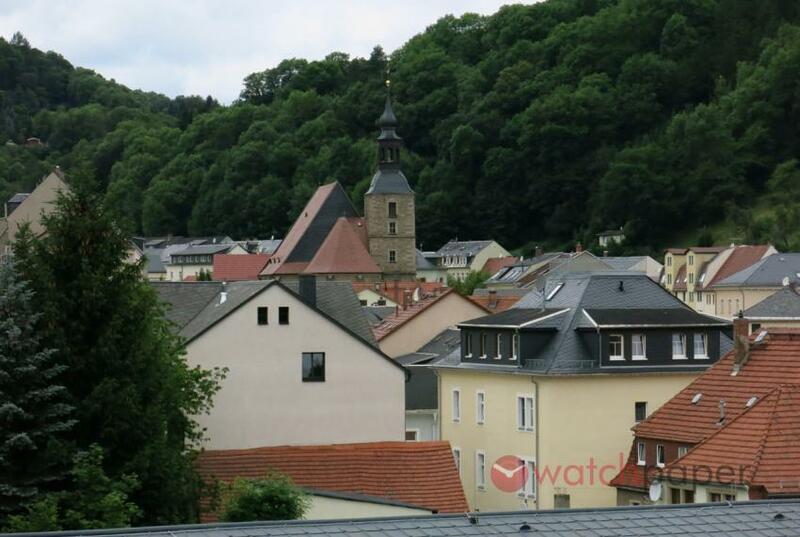 The first part in this series, the Glashütte Original Experience, was a brief overview of the fascinating history of the hotbed of German watchmaking, Glashütte and one of its flagship brands, Glashütte Original. It was important for me, the writer, and for you, the reader, that we first went on that concise piece of time travel before entering the actual manufacture of Glashütte Original. Now, as we leave behind the busy streets of Dresden, as the urban landscape gives way to farms, then forests, there is less and less traffic, and while admiring the peaceful scenery of the Ore Mountains, I can’t help, but think of all the people that make watches in Glashütte. Many of them take the same route as me because Glashütte is only a village of 7,000 souls, and most of the people working there are commuting from Dresden. The landscape imposes serenity, a calm that is so important when working on precision instruments that require a steady hand and a sharp eye. My daydreaming soon comes to an end as we pass the sign “… hier lebt die Zeit” — here lives time — announcing our arrival to Glashütte. 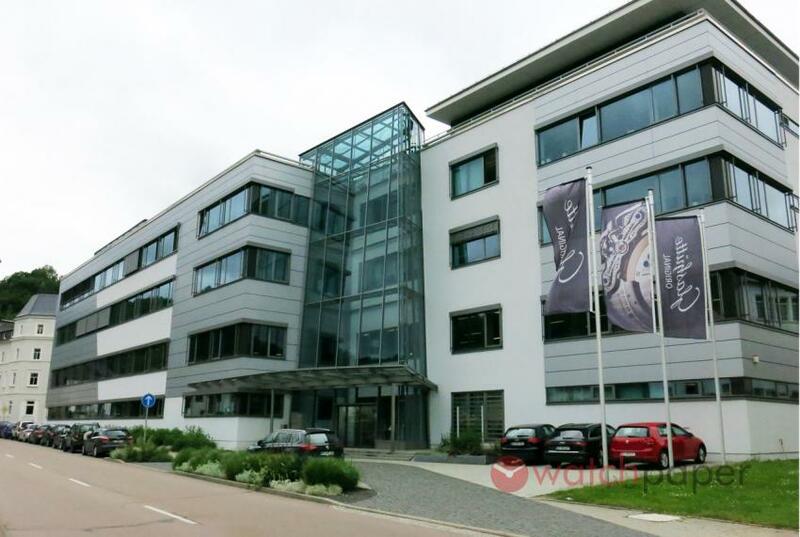 The car stopped in front of the Glashütte Original manufacture that, from the outside, looks like a modern office building, with a lot of glass, steel and concrete. Before checking in, while waiting for my guide, I wanted to snap a picture of the building. The best view is from across the street, from the stairs of Nomos Glashütte. As I looked around I notice that A. Lange & Sohne is around the corner, and between Nomos and Tutima, just on the other side of the train track, is the Moritz Grossmann building. Here I was, at ground zero of Saxon watchmaking. The glass roof of the atrium fills with natural light the entire building. My guide for this visit is Michael Hammer. Dressed like a watchmaker in a white coat with the logo of Glashütte Original, he is part of the marketing and public relations team. He will walk me through what they call the learning path that follows the sequence of making a watch from planning to a finished product. When the building was renovated and transformed in 2003, the learning path was already part of the plans and the concept was further extended during the 2014 renovations. Just as a see-through case back will give you an opportunity to admire the beauty of a watch movement, the Glashütte Original building with its learning path gives visitors access to directly witness the manufacturing process. 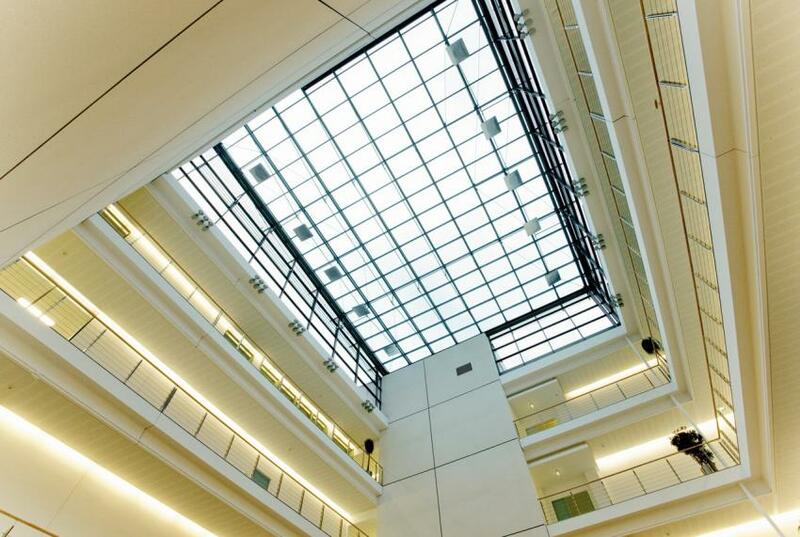 We start at the ground level of the glassed-covered atrium that fills the entire building with natural light. There are ten showcases set up to give the visitor a quick overview of the history of Glashütte Original, a preview of what a visitor can explore in more detail at the Museum of German Watchmaking in Glashütte. As Michael talks about the watches presented in the showcases, I ask him about what he is wearing. He pulls out a gorgeous Glashütte Original Senator Perpetual Calendar with black dial and stainless steel case. 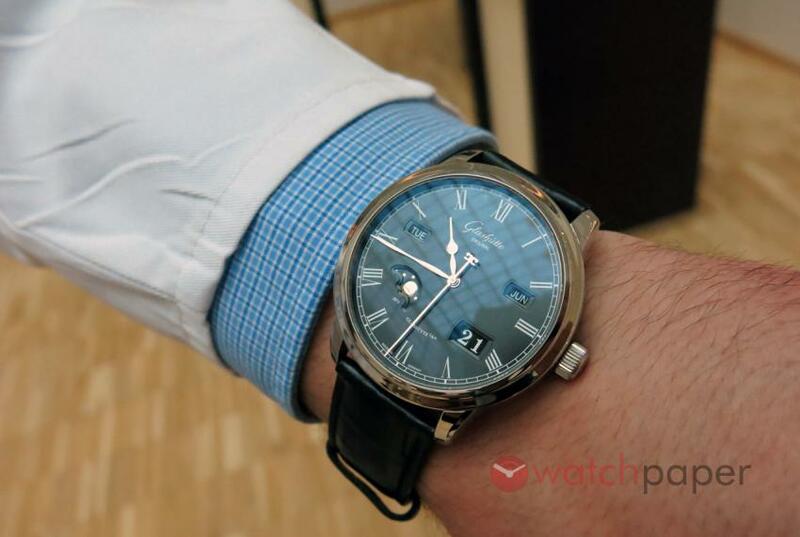 We will talk more about the different collections in the third part of the Glashütte Original Experience, but the watch Michael was sporting is the perfect example of what Glashütte Original stands for — only a brand that wants to render haute horology accessible would consider stainless steel for a perpetual calendar — sharing a pure passion for watchmaking. Tiny components obtained using spark erosion. Our first stop was inside a rather noisy room with several spark erosion machines used to cut out – from strips of stainless steel, even hardened steel, brass or Berilco – tiny (as small as 1/1000th of a millimetre) parts with extreme precision. 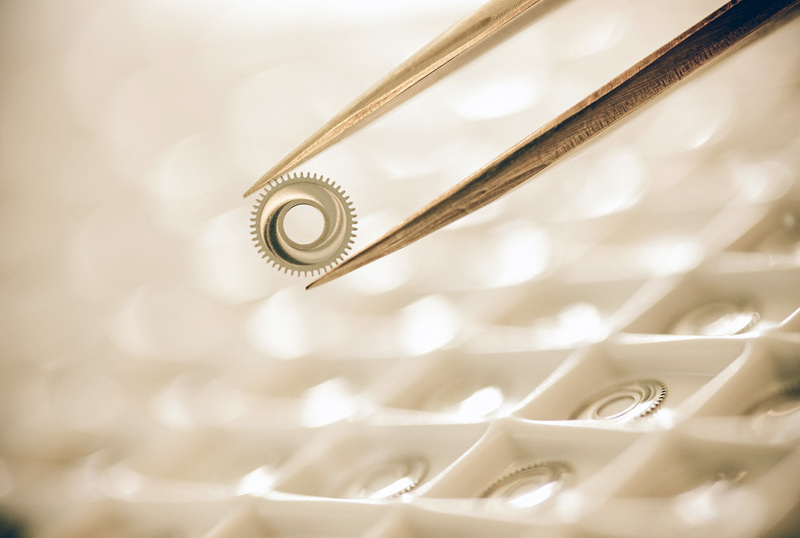 The tiny gears produced in this department are then sent to a different room where the teeth are cut with a milling machine. The guys operating these machines all looked young, maybe in their early twenties. 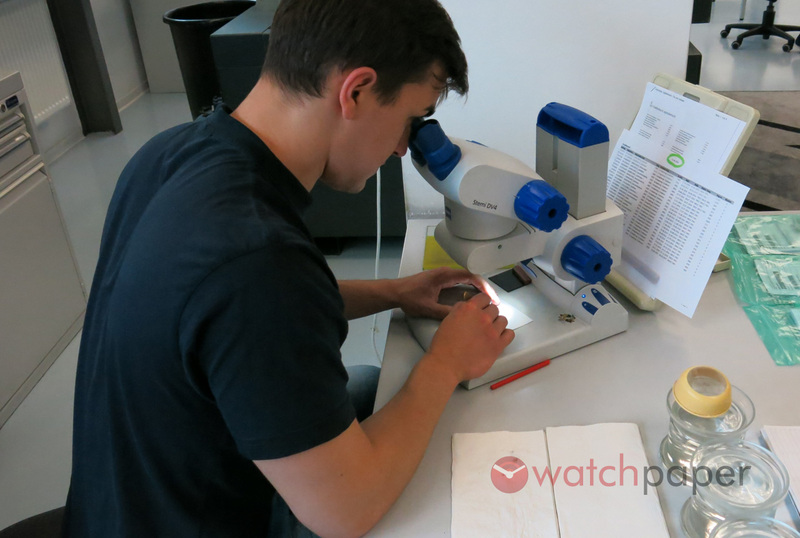 As we continued our visit, we encountered many young people, many of them former students of Glashütte’s “Alfred Helwig” School of Watchmaking. QC of the spark eroded components. Then, we moved on to the Construction department, where the movements are designed. They work in close collaboration with the product planners that are responsible for designing the watches. 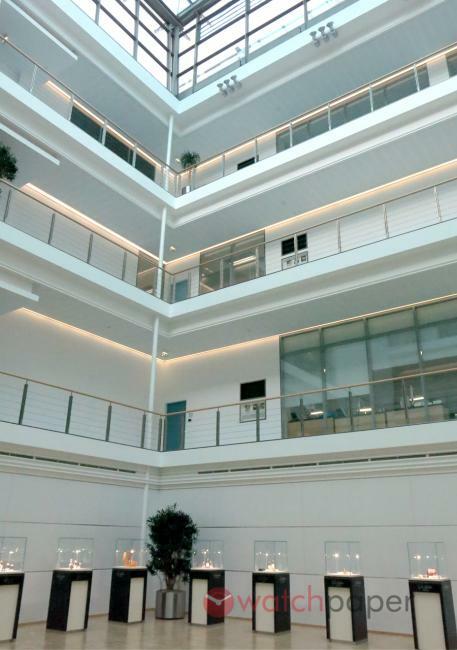 Understandably, this is a rather sensitive area and unlike other departments that could be observed through large windows from the learning path, here the view was obstructed by high walls and only a TV screen showed the process of planning a watch movement. Having everybody under one roof is a huge advantage for the company. Production, Design, and Customer Service have meetings on a regular basis where they discuss upcoming models. This is where decisions are taken about the type of decoration that a particular model will have (gold chatons, blued screws, manual engraving, etc. ), in addition to the standard decoration that every Glashütte Original watch has, such as the polishing and the perlage. 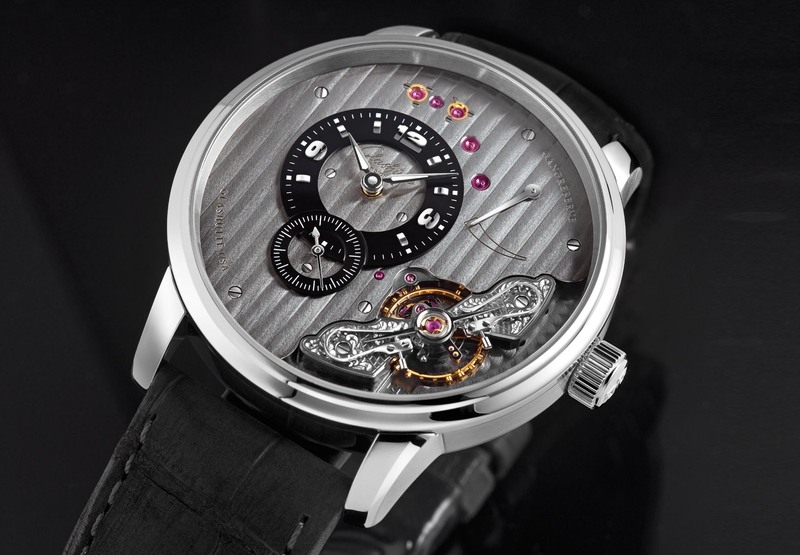 The decoration of the movement has to fit with the overall design of the watch. One of the best examples of a product born from the exchange of ideas between employees from two different departments is the story of the PanoInverse. A sales rep was joking with a colleague from product development, saying it was such a shame that he couldn’t admire the movement while, at the same time, wearing the watch on his wrist. Since 2008, when the PanoInverse was first unveiled, the watch has become one of the brand’s flagship models. We then moved on to the Milling and drilling department, where the larger components in the movement are produced. The components are then verified in the measuring room where a video device checks all coordinates, distances and angles to determine if they are within the tolerance or not. 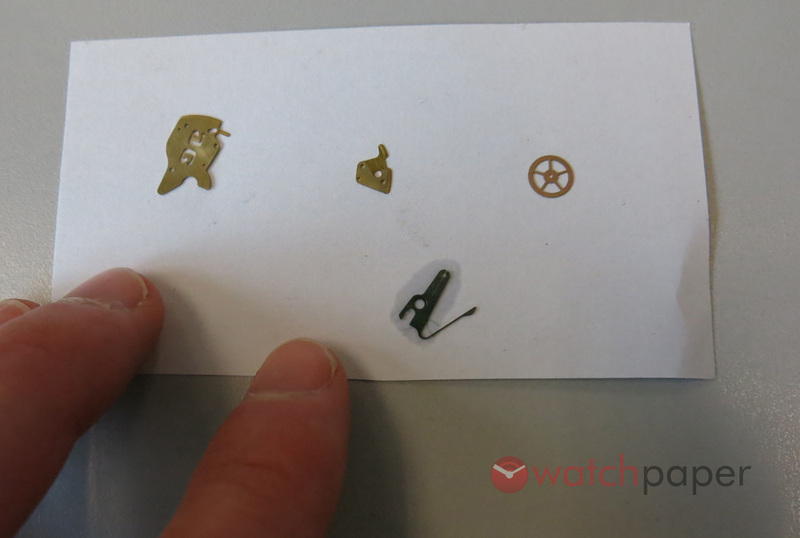 For other components, such as the swan-neck springs, they use projectors to compare the piece with the template. 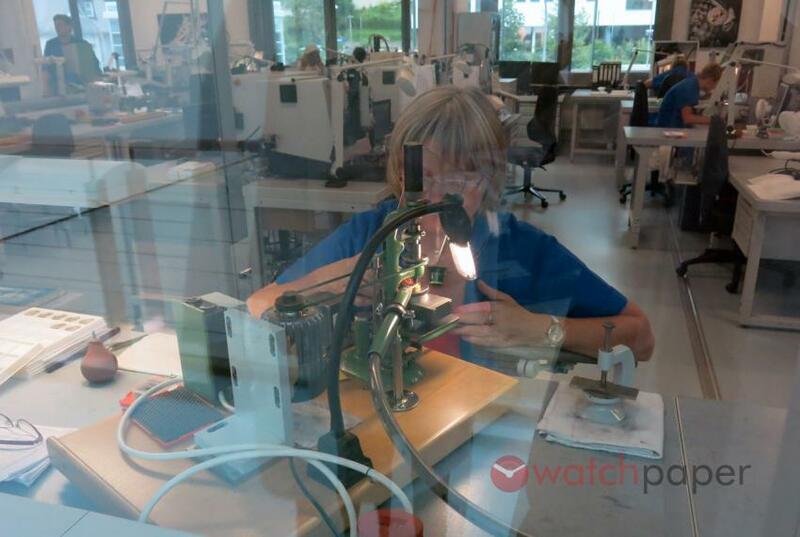 Our next stop was the Finishing department where every component receives its typical Glashütte finish or decoration. We are talking about perlage, sunburst decoration, stripe finish, engravings and decorative millings that can be admired through the transparent case back of a Glashütte Original. We also stopped in front of a display window presenting the different steps of dial making. Dials are a department, an entire factory, not located in Glashütte. 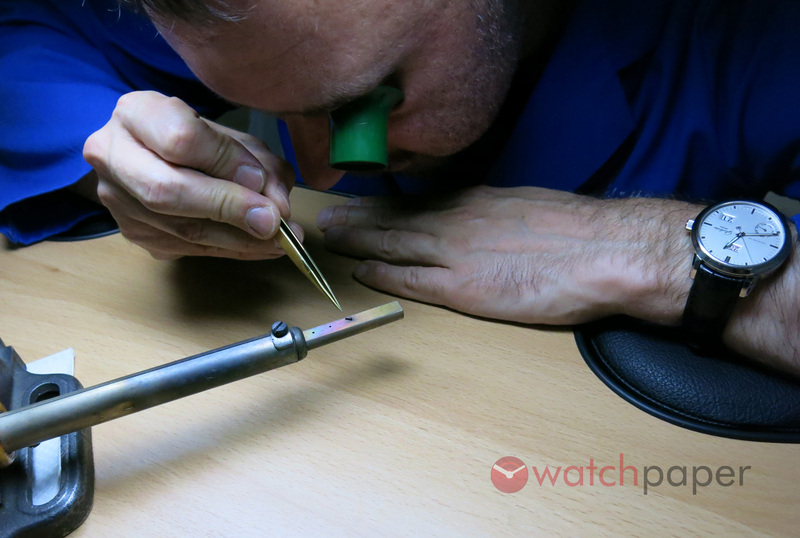 This, previously outsourced, part of the watch making process was a recent acquisition by Glashütte Original of one of their long-time suppliers based in Pforzheim, the other major watchmaking centre of Germany. It is fascinating to see all these different departments equipped with high-tech machines and computers that are used for everything requiring high precision, while all that the machines can’t handle, is to be made by the hands of a skilled craftsman. 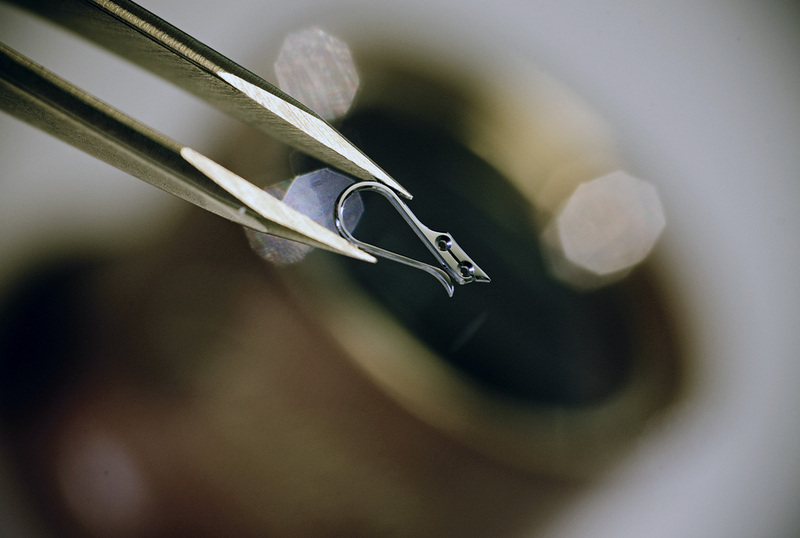 The Sub-group Assembly is where some already finished components are put together so that the watchmaker at the end will receive the completed balance, the plate with all the rubies and the pecks inside, or the rotor. While not everyone has to be a watchmaker to work at this stage, they all must have sensitivity in their fingers, patience, and quality-awareness. Galvanics, or electroplating, is where different components are coloured for two main reasons: first, the process protects against oxidation for the components made of brass and secondly, it has an aesthetic role in decorating components with rhodium, gold and ruthenium. There is an entire department dedicated to polishing, where the surfaces and the edges are polished. Gold chatons are set and fixed with blued screws that are also blued here. One of the employees working here demonstrated different polishing techniques and the tools they use for different components. For example, polishing edges to exactly 45°, even if they have a complicated shape such as the swan-neck spring, requires specialized tools. These tools were all developed by Glashütte Original, and I consider myself lucky that I could see them. They would not show it to just anyone and, of course, I was asked not to take pictures that would show these machines. 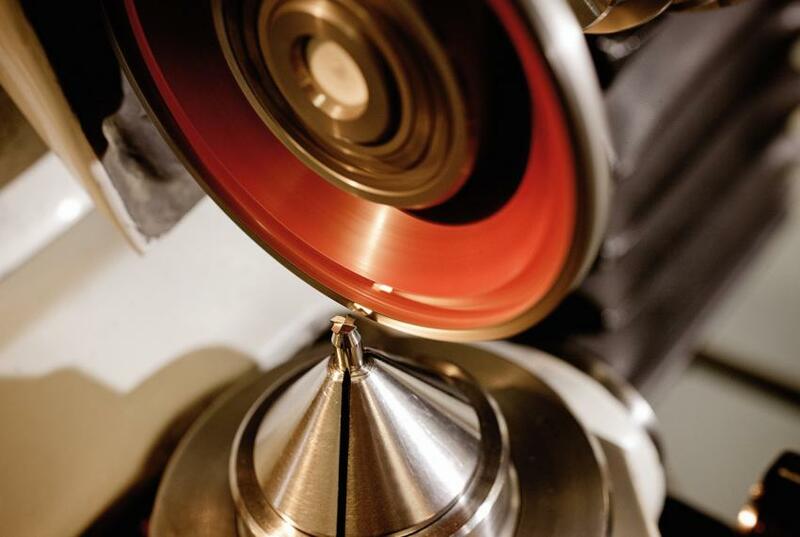 The edge polishing is followed by the surface polishing that is done using two different techniques, either by paper in several steps using finer and finer polishing paper, or by using a more traditional technique – tin polishing – also called black polishing, reserved for the high-end pieces, such as tourbillons and limited edition models. At the end of my immersion into high-end watchmaking, I was shown the proper technique of blueing screws by heating them at a precise temperature for a fixed length of time. The tiny screw was placed on a heated piece of iron and it immediately changed colour to yellow, then brown, followed by red, violet and blue. It sounds easy, but the hard part is to take the screw off the heat at the right moment. If this isn’t done properly, the dark blue colour becomes lighter and then turns white. 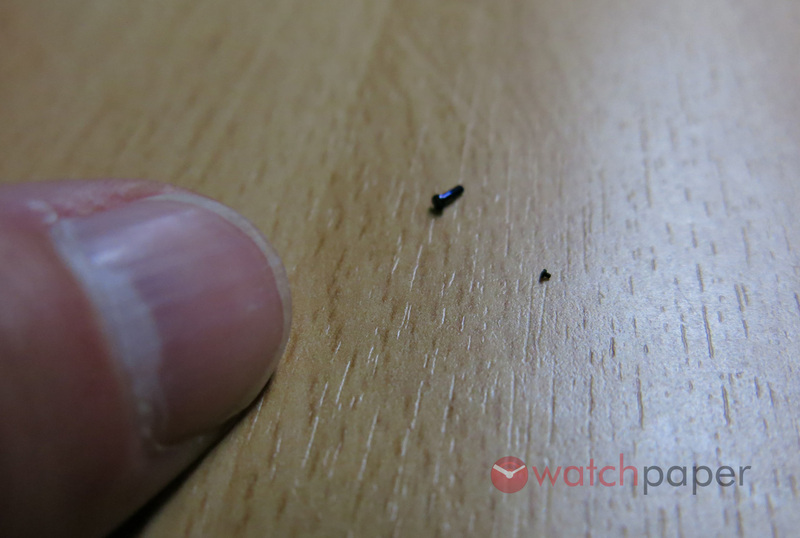 All the screws in a watch must have the same tint of blue, even if they are of a different size. By the time the tour finished, it was already noon and everyone was heading to the cafeteria on the last floor of the building offering a great view over Glashütte. It is the perfect space for employees to come together and get to know each other, talk about their work, or just chill. My hosts treated me to a delicious lunch prepared by the chef of the cafeteria before heading to the German Watch Museum. 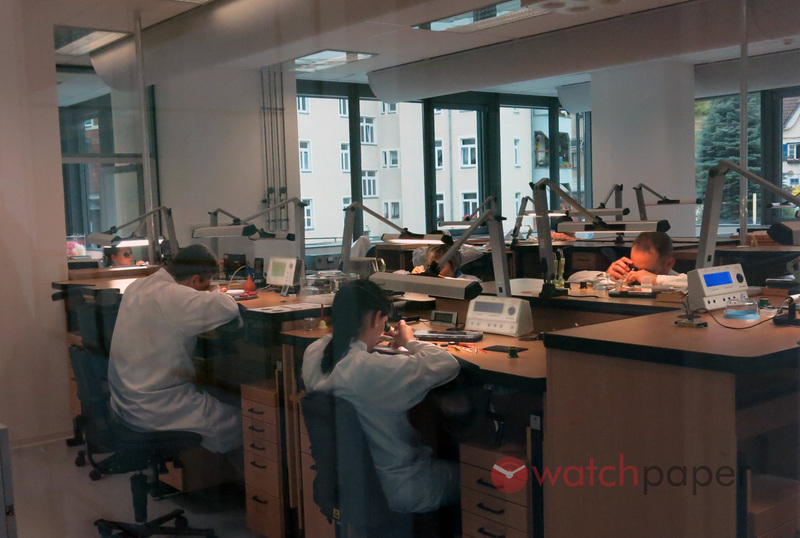 You don’t have to be a nerd watch blogger like me, or a VIP to visit Glashütte Original and walk on the learning path. Anyone interested in watches can reserve it online, or call the manufacture to make arrangements. If you are in the area, visiting Glashütte Original will be an unforgettable experience that will give you a whole new appreciation for high-end watchmaking.